Formerly Youth Options, the Early College Credit Program(ECCP) allows for High School students to take classes at MSOE and gain both High School and College credit at no cost to the student or family. Reach out to your High School counselor today to see if your High School participates in ECCP. 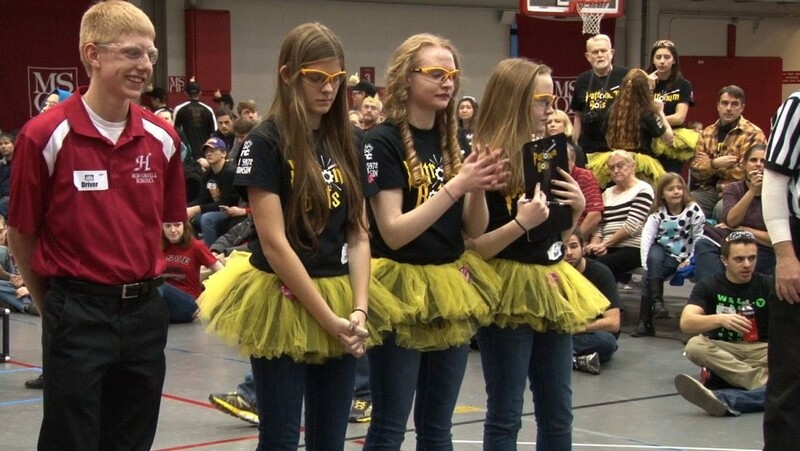 MSOE hosted the regional FIRST Robotics Technical Challenge for students in grades 7 through 12. The Early College Credit Program at MSOE will allow students to continue their education beyond what participating high schools have to offer. Students have the options to get an introduction to many different academic programs as well as taking higher level English, Math, and Science Courses. ECCP will provide you with a step ahead of others on your path to Higher Education. Students must have good academic standing and have an acceptable disciplinary record. Students must apply to the post-secondary institution in the semester prior to the one in which the student plans to attend the post-secondary course. Students must apply no later than March 1st for a course to be taken in the fall semester or October 1st for a course to be taken in the spring semester. You take a college course at no cost. If you successfully complete the course you may be granted high school and college credit. Check with your guidance counselor for your school districts policies. A Wisconsin's Private, Nonprofit Colleges and Universities(WAICU) Early College Credit Program and High School Special Agreement Form. An official high school transcript through last completed high school semester. Although students may enroll in any MSOE course for which they meet the prerequisites, the following freshman level courses have typically been popular with YOP students. View the Academic Catalog to browse the available courses. In order for your school district to pay for a course, they must first approve your enrollment in that course. Please note that course times vary each quarter. The following are some suggested ECCP courses at MSOE.